Good Dog Training Center's Doggie Resort was built with our client's ease-of-mind as our priority: your dog will be monitored 24/7 during its stay. 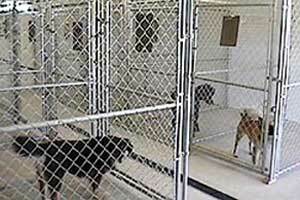 Having only 10 indoor kennels ensures individual attention every day of your dog's stay. However, this can also make for tight scheduling of boarding space, so book your stay early. Breeds of all size are welcome! the rate increases from $30 a day to $40 a day. That's the bad news. 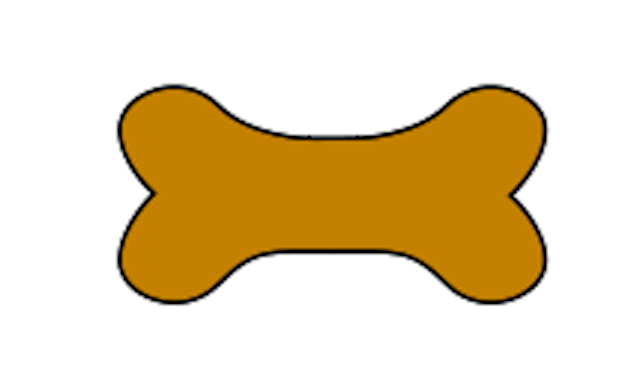 The Doggie Resort is a semi-private facility; we are not a commercial kennel. We are flexible on hours of pick-up or drop-off as long as it does not conflict with a training session. For all major holidays, a three-day minimum, non-refundable deposit to hold your reservation is required 10 days in advance of your dog's stay. These holidays include Thanksgiving, Christmas, New Year's Day, Memorial Day, July 4th, and Labor Day. Book these dates in advance to ensure your reservation. There are no pick-ups or drop-offs on holidays. Check-in and check-out are the same as hotels - no extra charge if checked out by 11 a.m.
Our pick-ups and drop-offs on Sundays are not as flexible; we will accept them at 8 a.m. or 5 p.m. On this day, there will be a $10 charge for every 30 minutes you are overdue, up to 1.5 hours. If you cannot be available after that time, our doors are closed and pick-ups will need to be made at the next designated time. If we have a prior commitment on Sunday and you are not here by the provided times, we cannot guarantee that we will be available. is nice, play time can be extended to 2-3 hours. There is no extra charge for playtime. All dogs and pups must be current on shots, including Bordatella. Please bring your pet's favorite possession, bedding, and special diet, if desired. Bring their regular food, which will help cut down on the stress boarding can have on the digestive system during their stay. Please feel free to call 505-896-4567 for rate information and ask to come by to see our comfortable and secure facility. We accept Visa, MasterCard, and Discover. technology. They are always just steps away from our us.